With students from around the world, UVic’s community is one filled with diversity, and we are incredibly lucky to have such a wide range of nations, regions, and cultures represented at our school. To celebrate this, the UVSS Food Bank will be hosting an intercultural food festival, supported by the UVic Global Community, EQHR UVic, and UVic Meal Exchange. Want to participate and share your culture? We are located in the basement of the Student Union Building (next to The Martlet) on the UVic campus. The space is accessible from the stairs and elevator. 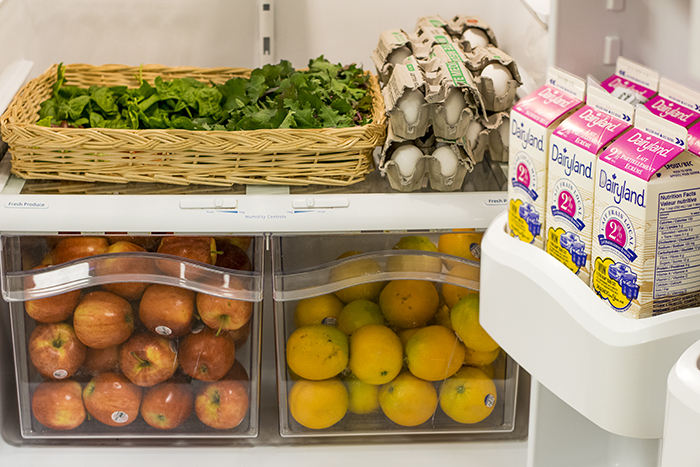 The UVSS Food Bank & Free Store is run by a team of dedicated staff and volunteers and offers all UVic students access to food essentials and free household items. With the rising costs of tuition, housing, childcare, and food, we do what we can to provide essential support to undergrad and grad students. Extra resources are available for students supporting families. Every week, hundreds of UVic students come to the Food Bank & Free Store. To learn more about how to support our service, scroll down to the ‘Donating’ section. 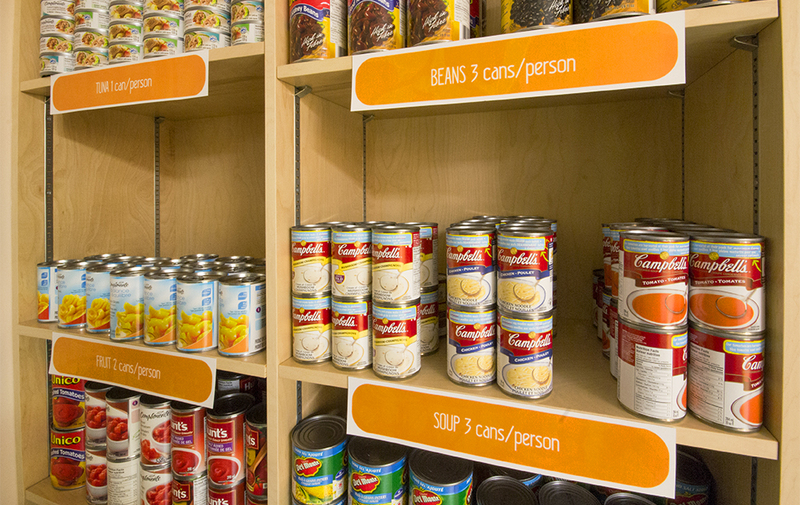 Students can drop by the UVSS Food Bank & Free Store during posted drop-in hours. All services are totally confidential and all current UVic students are welcome to use this service. Looking for other support networks in the Greater Victoria area? Check out our resource guide for other food banks, free meals, and more. 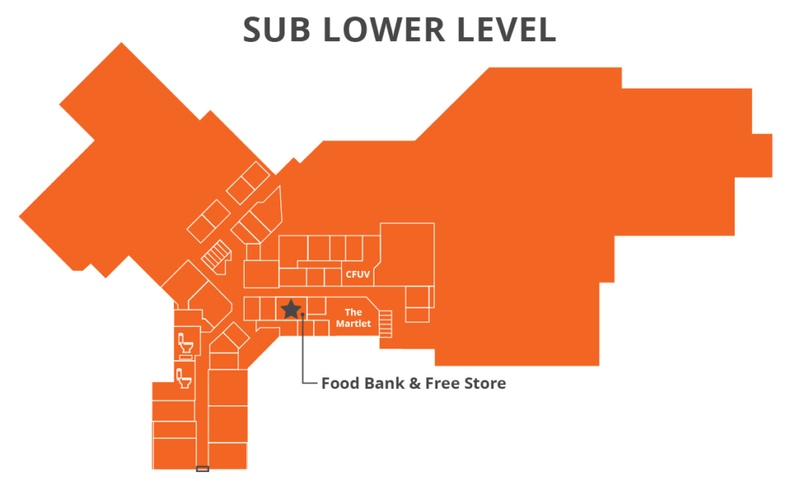 The UVSS Food Bank and Free Store is a community space that supports students by supplementing basic food and other supplies, and works to eliminate the stigma surrounding accessing food banks. Our service strives to create a safer space by acknowledging our trespassing on Lekwungen & WSANEC lands, continually learning and unlearning alongside UVSS advocacy groups, and responding to the needs of students. For more information, please read our Community Guidelines/Safer Spaces policy. We advocate for and represent our members’ voices by providing them with services, events, and safer inclusive community spaces. We happily accept donations, but do not have the capacity to pick up from on-campus or off-campus locations. We ask that donations be dropped off during our open hours. Please do not leave any donations in the hallway. If you would like to make alternate arrangements for your donation, get in touch via email. Must be useful to someone else! Condiments such as spices, peanut butter, cooking oil, etc. Interested in volunteering? Applicants are accepted on an ongoing basis, depending on our need for volunteers. Apply with us. 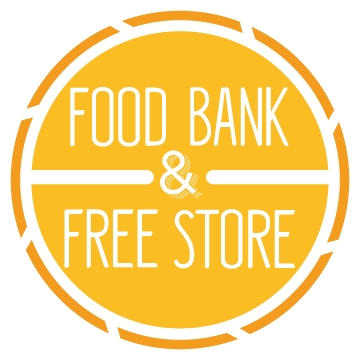 Contact our Food Bank & Free Store Officer, Alexandra, by emailing foodbank@uvss.ca or calling 250-472-4999.